Now that we can finally frolic in the fresh air, there’s no shortage of amazing activities to partake in. Check out my top five favorite things to do in the Big Apple this Spring. Smorgasburg – Ah, Smorgasburg – the highly anticipated outdoor activity every New Yorker waits way too long for ever winter. 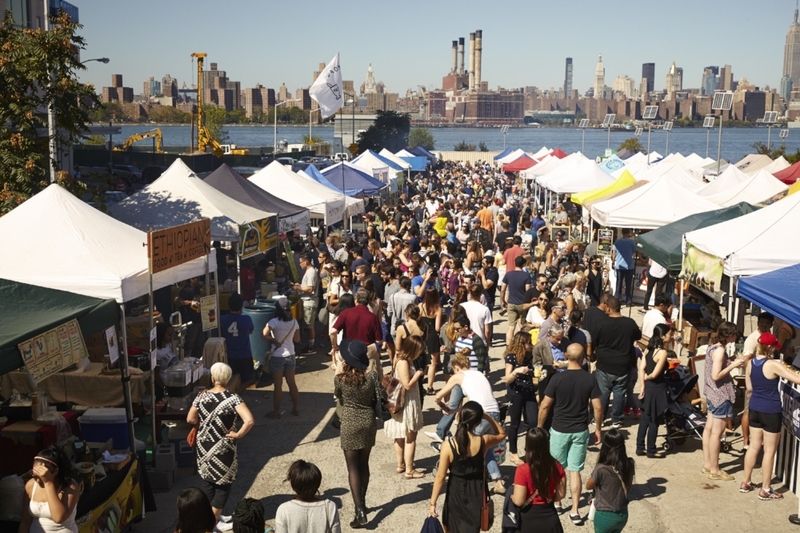 This weekly food festival held in Williamsburg is the largest open air food market in America. Every Saturday, a collection of food vendors and purveyors from around the region come together at the beautiful East Riverside park welcoming more than 20,000 visitors. There are a great number of amazing (and interesting) food items including the Mofongo, Lobster Rolls and most recently, the Spaghetti Donut (I know, don’t ask). For more info on this fun foodie event visit www.smorgasburg.com. 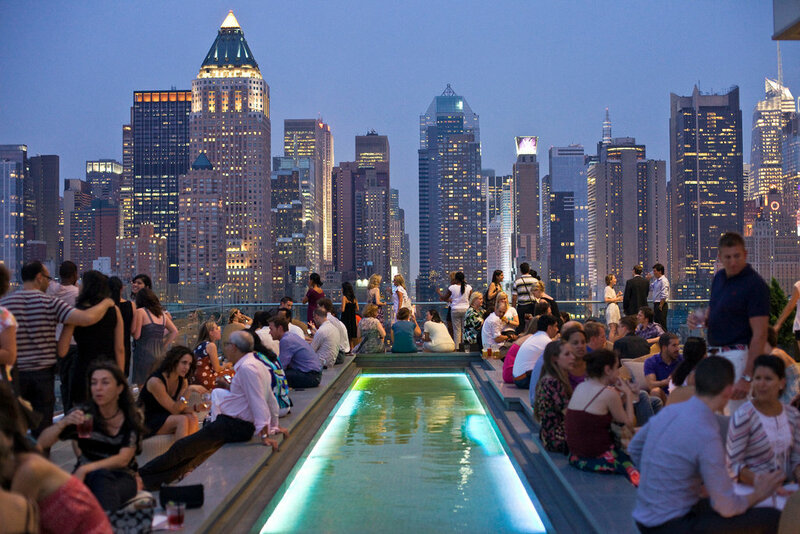 Rooftop Rendezvous– Rooftop Season has arrived (Yes, that’s actually a thing for New Yorkers). Across the city, many of the towering buildings that simply seem like metal skyscrapers, actually boast some of the most gorgeous rooftops and sprawling views. 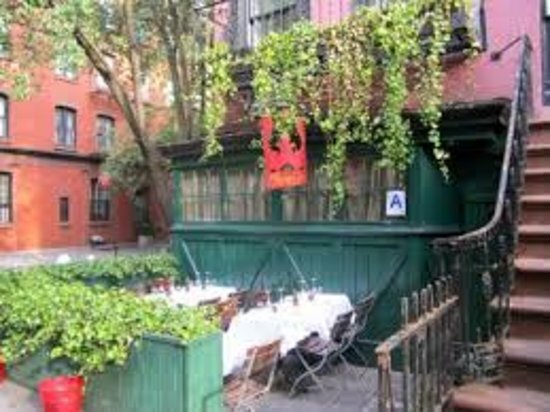 Some of my favorites include the Jimmy at the James Hotel, Ink 48, The Roof at the Viceroy and PHD at the Dream Hotel. My handy dandy drinking guide, Thirsty, always has the latest and greatest on all things beverage. Picnic in the park – Regardless of whether you’re Uptown, Downtown or somewhere in between, there is a ton of green space in NYC to enjoy. Pick up your favorite foods, grab a bottle of some Rose (careful, most parks don’t allow glass bottles, but they don’t have to know), and head out to enjoy some fun in the sun with your closest friends, colleagues or your lover (part time or full time). 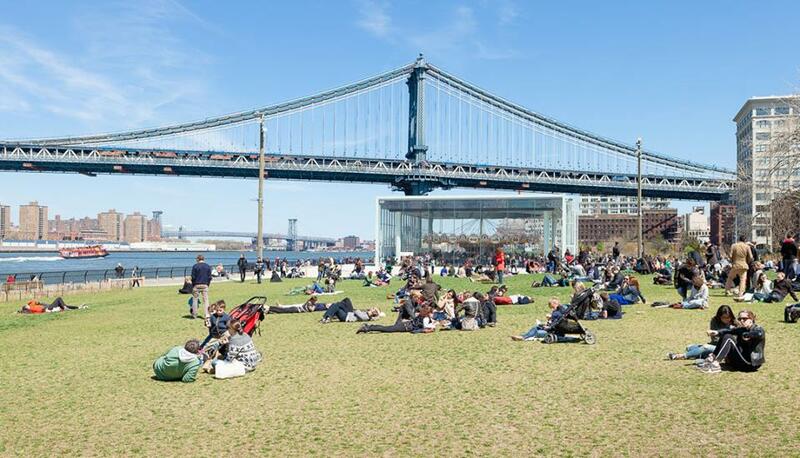 For a full list of parks and their hours, rules and events visit https://www.nycgovparks.org/. 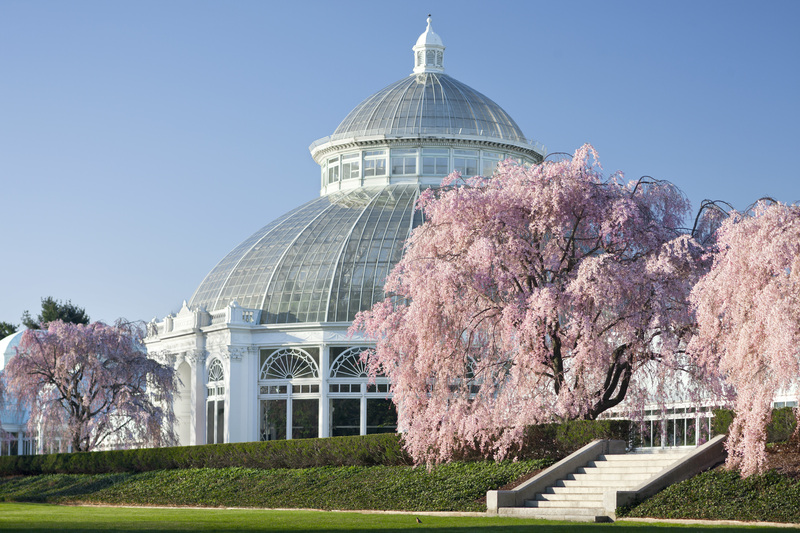 Bounce into the Botanical Gardens – Both the New York Botanical Gardens in the Bronx and the Brooklyn Botanical Gardens in Brooklyn are two of the loveliest locales to enjoy the gorgeous weather and blooming buds. Both gardens offer various exhibits, workshops and events for their guests so be sure to plan ahead to make the most out of your visit to these gorgeous grounds! Be sure to check them out – New York Botanical Gardens and Brooklyn Botanical Gardens. Patio Parties – All around NYC, there are tons of restaurants who open up their outdoor spaces for patrons who are pumped about the gorgeous weather and are wanting to take a seat outside. Some offer sidewalk seating for optimal people watching, while others have their own backyard enclave for a true dining al fresco experience. Some of my favorite spots include The Waverly Inn, Olio e Piu, Grand Electrica and Santina, just to name a few! But for a more comprehensive list, visit my “bible” TimeOut.com .